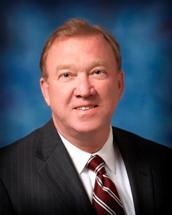 David P. Corrigan is a partner and is responsible for the preparation and trial of significant personal injury cases. Mr. Corrigan has tried an extensive number of complex personal injury and wrongful death cases. He is Certified by the Supreme Court of New Jersey as a Certified Civil Trial Attorney and in 1998, the National Board of Trial Advocacy certified him as a Civil Trial Advocate. For the past six years, Mr. Corrigan has concentrated exclusively on plaintiffs’ work, handling catastrophic personal injury cases, products liability, dram shop and various other personal injury actions. He has obtained several million-dollar recoveries for his clients. Formerly, Mr. Corrigan was an Assistant Prosecutor with the Union County Prosecutor’s Office, where he tried an extensive number of serious criminal matters to verdict. After leaving the Prosecutor’s Office, he concentrated on the defense of medical negligence cases. In addition to being a member of the New Jersey State Bar, Mr. Corrigan is licensed to practice before the United State District Court for the District of New Jersey, the Third Circuit Court of Appeals, and the United States Supreme Court. He is also licensed in the State of California. Mr. Corrigan, a resident of Monmouth County, is a member of the Monmouth County Bar Association and the American Association for Justice. He is a graduate of the Seton Hall University School of Law.